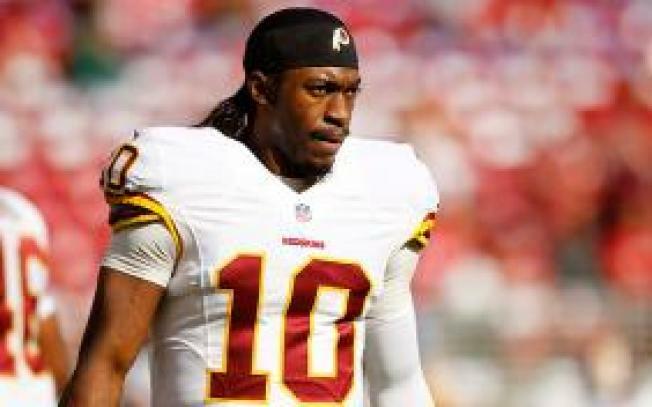 The Washington Redskins quarterback drew heavy scrutiny for his comment given his struggles with injuries and on-field performance the past two seasons. But Griffin insisted the full context of his words was ignored by most who wrote about it. Despite a dislocated ankle that kept him off the field for six games and a late-season benching in 2014, Griffin was named the starter for the upcoming season in February. The Redskins also picked up his fifth-year option for 2016 and hired a quarterbacks coach, Matt Cavanaugh, to work with him. Several Redskins teammates backed Griffin and said they want their quarterback to play with that level of confidence. Griffin originally was scheduled to speak to reporters Tuesday for the first time since last Thursday's exhibition game against Cleveland. Then the Redskins canceled Griffin's appearance after the firestorm over his comments in the TV interview, before team officials relented after the QB had a discussion with PR staff. Griffin made a statement, though he did not take questions about the interview.